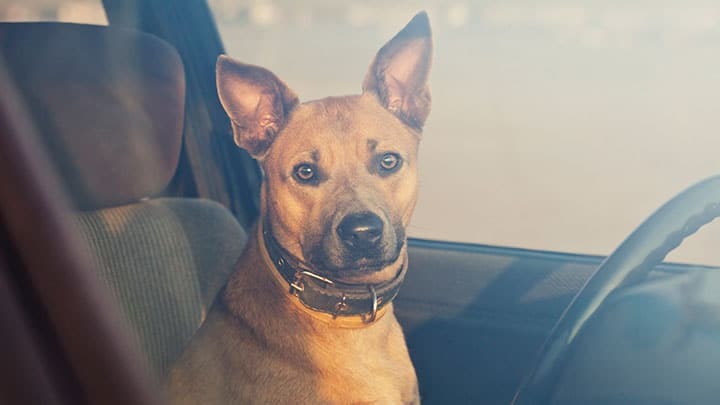 To date I’ve made 5 cross country road trips with my two dogs. 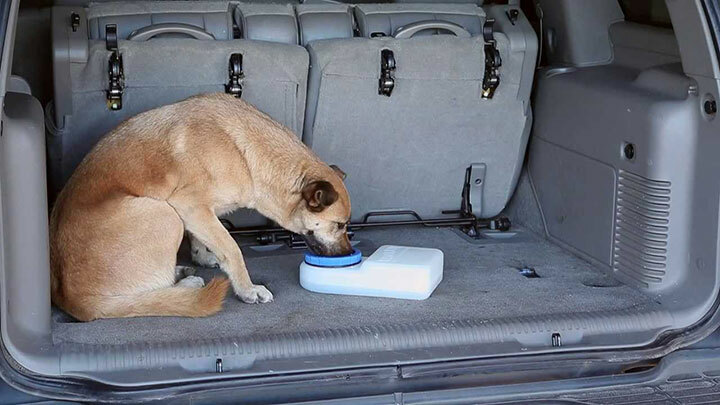 I am literally an expert in discovering all the things not to do while traveling with dogs, which has (not surprisingly) helped me narrow down all the right things to do. 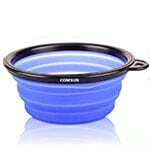 Including which travel bowls are the best. Not just for traveling, but for hiking, camping, and pretty much any other trip where you need to pack light. 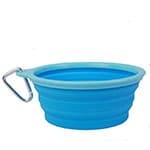 My favorite thing about the Outward Hound bowl is it is literally 100% collapsible into a myriad of different shapes. 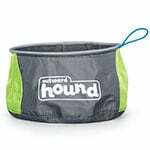 You’ll notice a lot of the silicone bowls on the list will fold or collapse flat, and that’s great, but the “cloth” bowls by Outward Hound (and also Ruffwear) can be folded, pressed, squished, whatever you need to stuff it in your dog’s pack or harness. 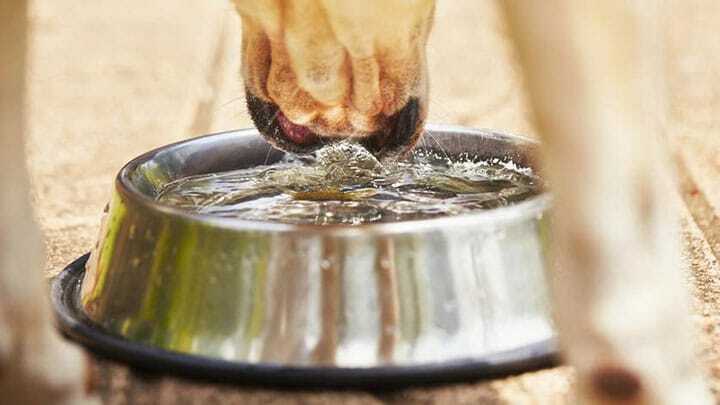 This isn’t necessarily a bad thing (or a good thing), I’m just pointing out for the sake of this post A LOT of dog bowls appear to be identical. In which case brand loyalty or brand awareness may play a role in choosing which one to go with. 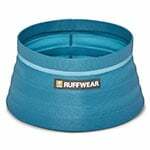 For example, when all things are the same I’m partial to Ruffwear and Kurgo even though they’re a bit more expensive. I just know they’ll stand behind their product. And I know they are always testing their dog gear with actual dogs and dog owners. I’m not going to go over all the bowls on the list in depth, well…because…they’re bowls. I’ve already talked about my favorite and rest are pretty self-explanatory, except for two. 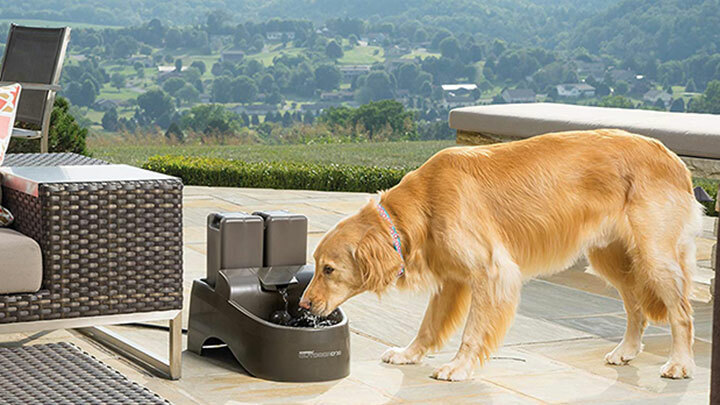 The Lixit Waterboy is basically the “unspillable” dog bowl. 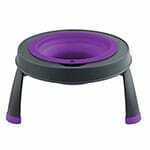 This makes it great for road trips. You don’t have to pour it our and keep refilling. Just fill it up and toss it in the car. When it’s empty, fill it up again. 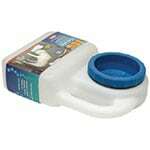 The water level is dispensed to prevent splashing even if tilted. 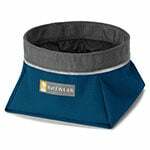 Dexas Popware offers a line of collapsible dog bowls designed to expand for use then fold up for convenient transport and storage. 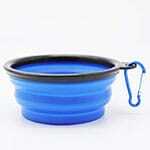 The product is made for easy travel and is perfect for trips away from home. 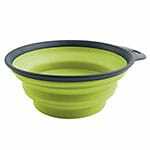 Constructed of durable, dishwasher-safe plastic, the Popware for Pets bowl is suitable for both food and water. 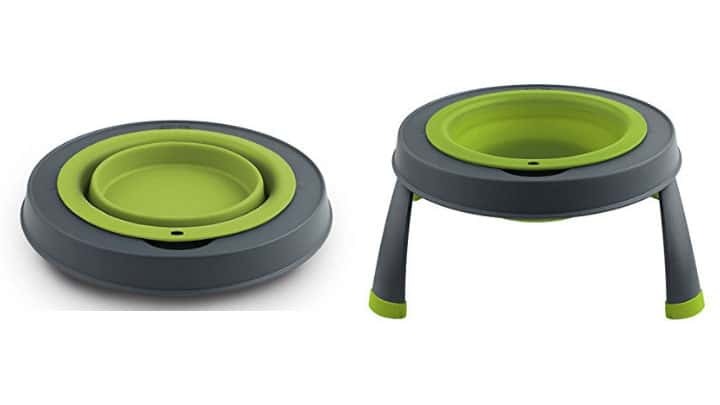 These portable dog bowls are offered in two sizes; small (8 ounce capacity) or large (20 ounce capacity) and there are four different color options to choose from. 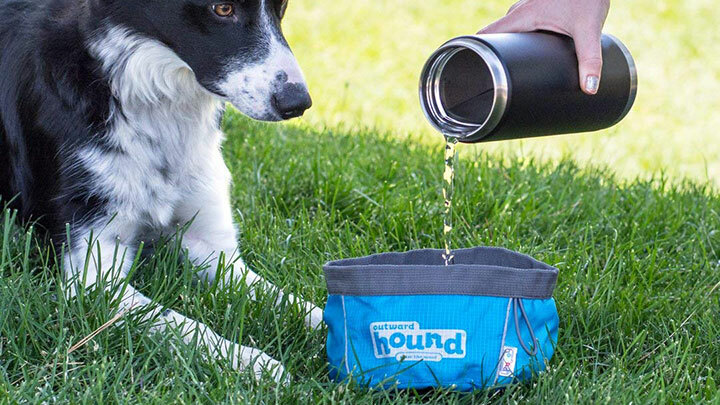 They’re not going to pack quite as tight as any of the other bowls on the list, but if you prefer an elevated water bowl for your dog, this is the perfect travel version. I’ll never forget the day I was emptying the dishwater at my mother-in-law’s house and discovered she washed her plastic sandwich bags. I’m not sure if I was more shocked they didn’t melt in the dishwasher or that people actually washed Ziploc bags. Either way, the point is plastic bags can withstand a lot of punishment without leaking. 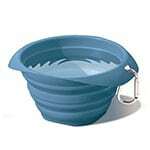 Above I mentioned the how you can squish up the Outward Hound bowl so it’s super easy to store. Well…plastic bags are even easier. If you’re worried they’ll break or leak, just carry a couple. The only downfall is they aren’t exactly great for the environment. 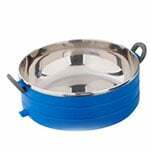 If space or weight isn’t an issue, then any small stainless bowl is still a great option. 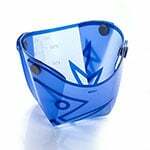 They dry quickly, they’re more hygienic, dishwasher safe, and relatively inexpensive. No, this won’t make your dog the next Michael Phelps, but Swim cap, like plastic bags, are super cheap and super easy to pack away. Any Speedo swim cap works well.